In the middle of historic Moscow, Russia stands a weapons salon that is of a bit higher-caliber than your local Cabela’s. That is unless the stuffed mountain lions at your local branch are mounted above marble floors among moldings, and monograms. 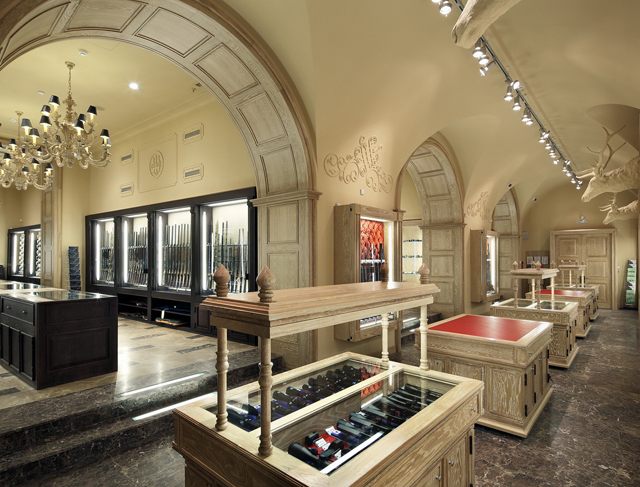 This is the image of Kolchugas Weapons Salon, Russia’s first, non-government store of weapons. 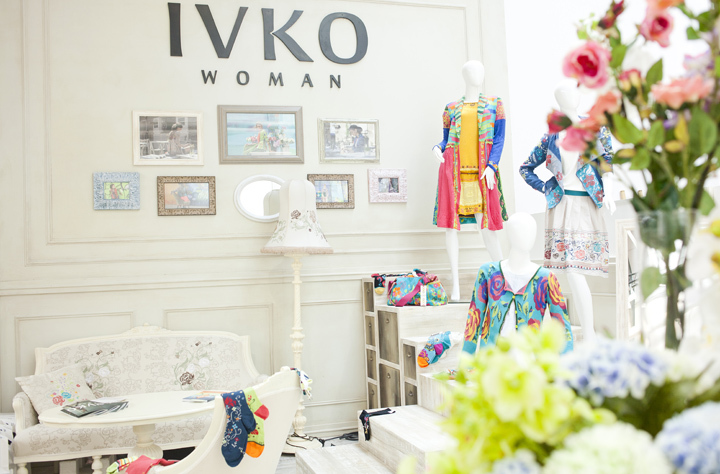 The salon is located a merers 150 meters from Red Square and a short distance from the Kremlin in one of the many buildings in the area rich with history. 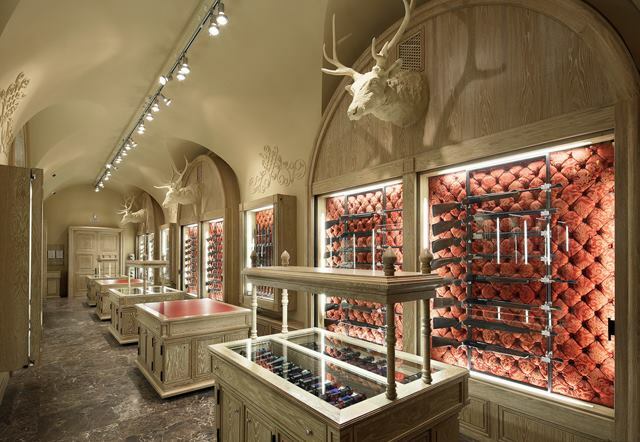 This is why abandoning the typical hunting look of most weapon retailers in exchange for a more regal, sophisticated design was no random shot in the dark for Valery Lizunov and Valery Bykov, leading architects of the project from the architectural studio at ARCHPOINT. 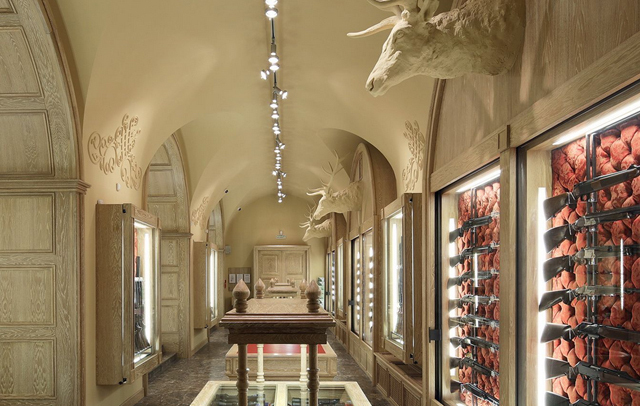 They envisioned a weapons salon that elegantly complemented and flowed with the historic design of the building and it’s surroundings, and what they created was a spectacular showcase of sporting and hunting equipment. The Kolchugas Weapons Salon is often viewed as less of a store and more of an exhibition. For the first time in Russian history the guns have been taken from the counter and are instead showcased in display cases adorned with red cloth backdrops detailed with a royal classic pattern and carriage tie. This design gives the salon a museum like feel while allowing visitors to have direct access to the products. The walls are also outfitted with moldings and monograms. 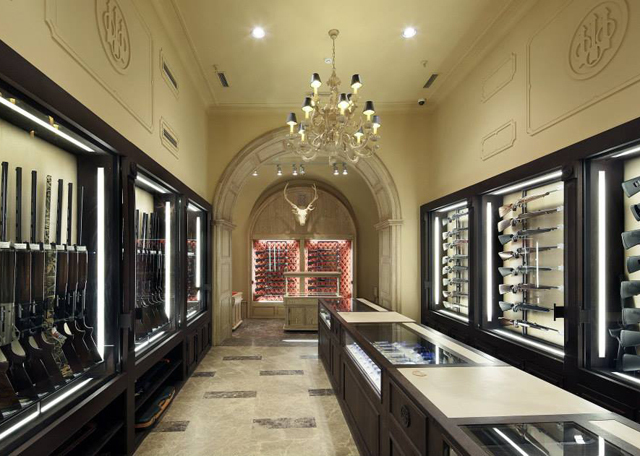 Panels of oak arches stand under the vaulted ceiling and deer heads are mounted above each cabinet. The interior color scheme aims to mimic the color of natural wood through the use of white oak. Painted walls, trim windows, stained oak veneer, and marble floor are other major elements in the design. 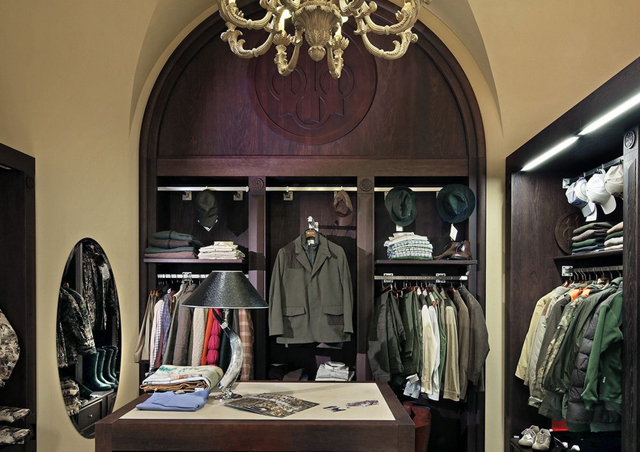 One section of the salon is dedicated to the world-famous firearm company, Beretta. 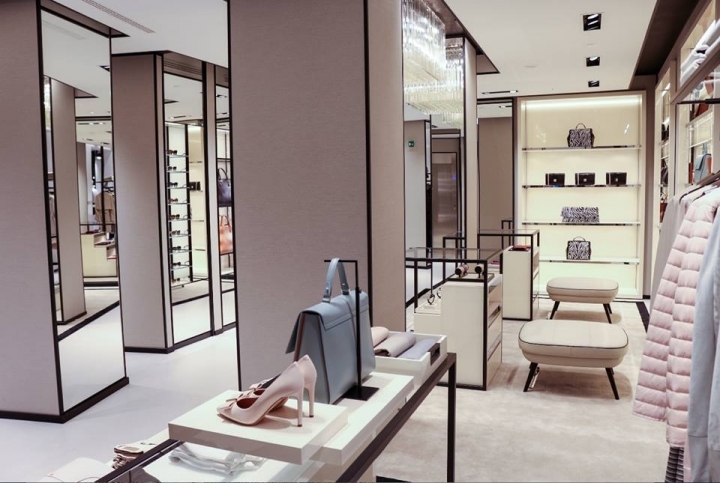 The design of this section is inspired by the Italian company’s corporate design style which favors dark wood finishes, parquet flooring, and bright backdrops. 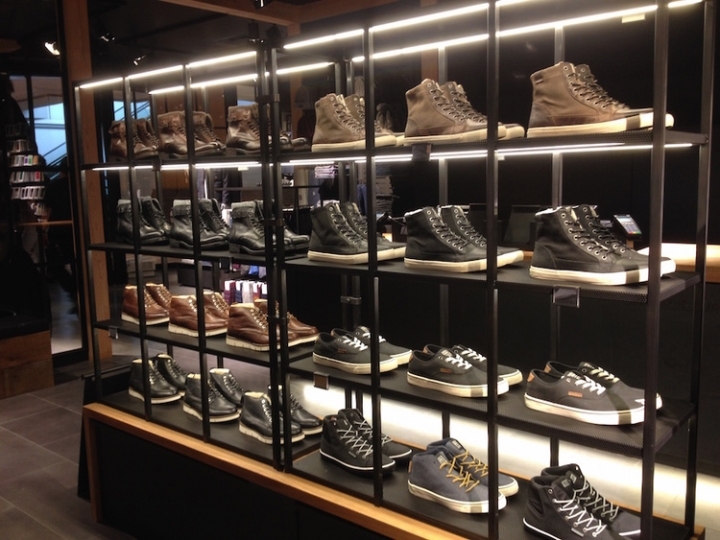 The only decoration in this section is the Beretta logo, which is embossed on the walls and windows. 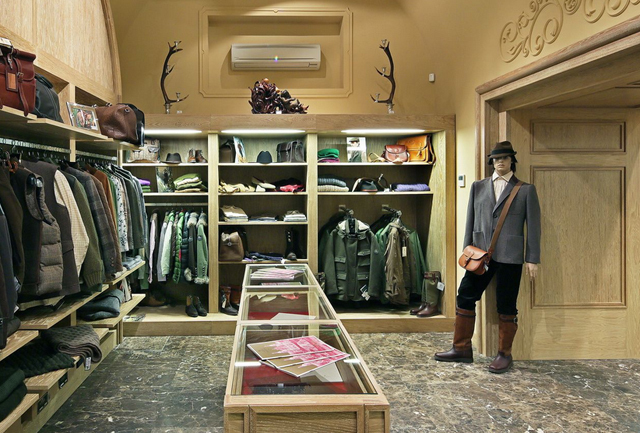 The salon has zones for edged weapons, guns, clothing and even a VIP customer’s area. Zones are separated by the contrasting textures of wood and paint. Architect Valeria Bykova, reflected on the difficulties he faced executing this design, mentioning problems with removing bearing elements in such a historic building along with finding capacity for ventilation. He also wanted to be sure to accentuate the historic elements of the building such as the high celling and coving. He even went as far as preserving some of the door hinges and original masonry. But the biggest focus of the project was ensuring the Ministry of Internal Affairs didn’t become all up in arms. Therefore, special safety requirements regarding equipment rooms, storage facilities, warehouses, premises for display, demonstration, and the placement of weapons must be strictly adhered to. Lucky the architect never found himself under fire. 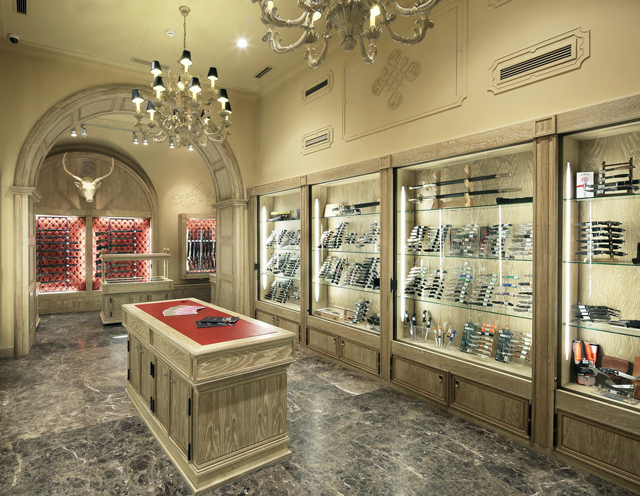 The design was a success along with the Kolchugas Weapons Salon itself, which this year celebrates its 10th anniversary of dedication to premium clientele by collecting the best of foreign and domestic manufacture’s weapons, accessories, and hunting equipment.